Okaaspain, tienda online de bailarinas en terciopelo tipo angelito con cristalitos. 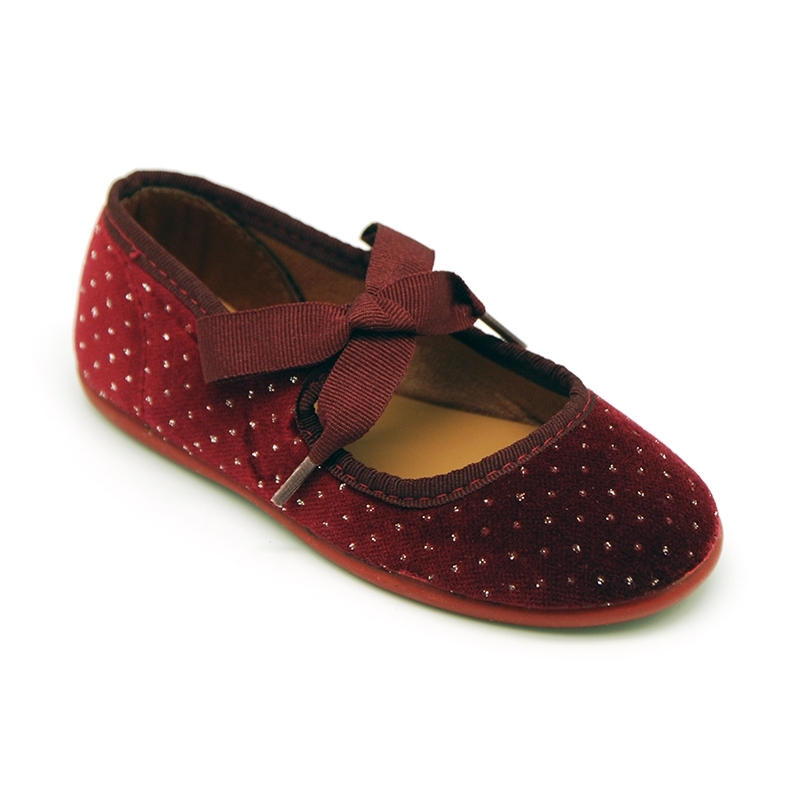 > First Steps>Mary Jane>Crystals design velvet canvas ballet flat shoes angel style. 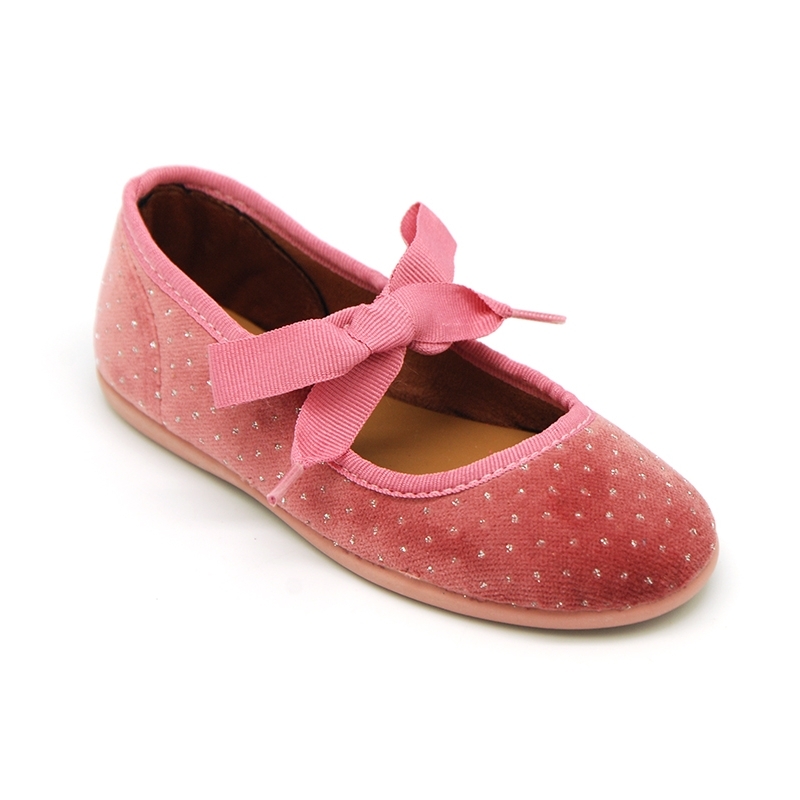 Crystals design velvet canvas ballet flat shoes angel style. Special velvet canvas Mary Jane shoes angel style with ties closure and crystals design for girls. SIZING SMALL. More info about Crystals design velvet canvas ballet flat shoes angel style. 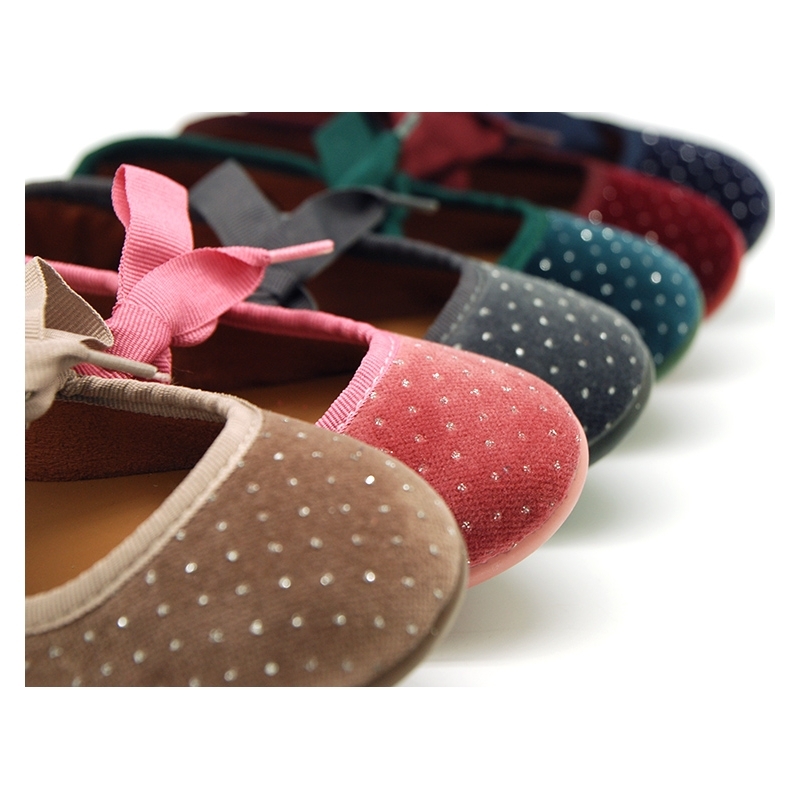 Special Velvet canvas Ballet flat or Mary Jane shoes angel style with ties closure and crystals design for girls. Made up on 100% Velvet canvas with high finishes and new design with shiny crystals. Special design in velvet canvas for to dress this autumn winter. Shiny effects are very trendy this season in all kids collections. Really smart!. Perfect to mix and match with all their garments in any special occasion or day a day basis. It´s an updated model, very comfortable, different and perfect for warmer period. With ties closures for a better grip. 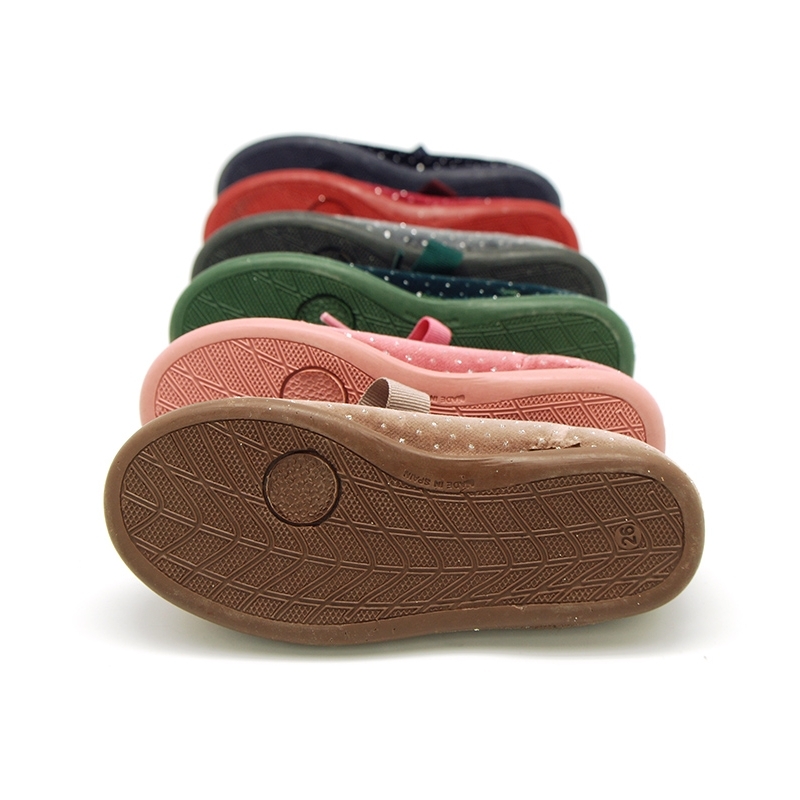 Fully lined and leather padded footbed and removal for a good perspiration of their feet. Available in 6 colors. Sizes range: from 21 Euro size up to 36 euro size, for all sisters. SIZING SMALL, we recommend to select a bigger size to regular one. Data sheet about Crystals design velvet canvas ballet flat shoes angel style. 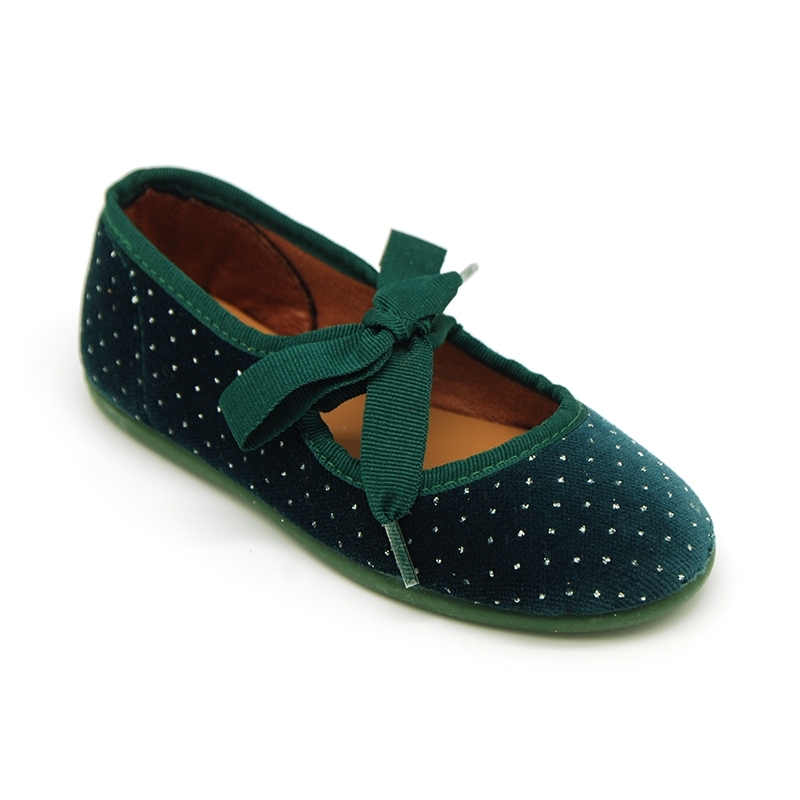 Medidas sobre Crystals design velvet canvas ballet flat shoes angel style.